Guys! I made my own corned beef. I’m so excited! 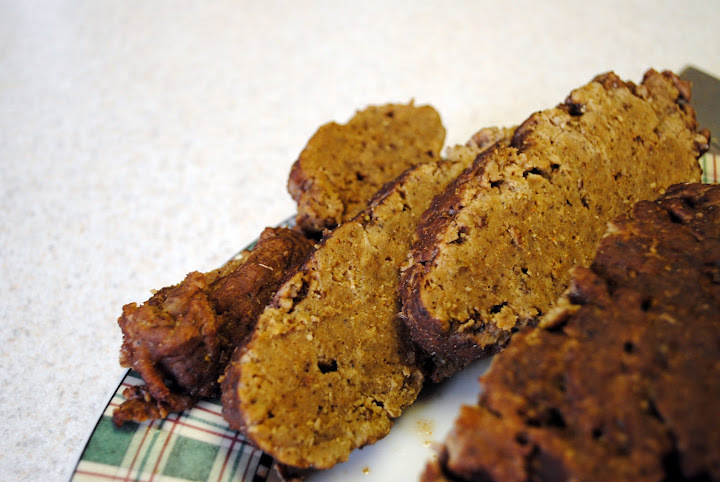 This is my first venture into the world of making my own meat substitutes and I have to say, I was pleasantly surprised. Before I go on, I just have to put a little disclaimer out there. A few days ago, a friend and I were arguing the merits of fake meat. He is a die hard carnivore and just did not understand the purpose of non-meat “meats”. His argument was, “you gave up meat. Why are you eating something that now taste like meat?” and “it’s not chicken, so it shouldn’t me called chicken”. Touche, my dear, touche. I like to think of fake meats as the Epcot of foods. When you go to Epcot Germany, you aren’t going for an authentic German experience, are you? No. You are going for the idea of Germany. You get to partake in the German experience without having to go to a foreign country, with a foreign language and foreign people. With fake meat, you get the idea of meat without the cruelty of animal slaughter/torture, chemicals and bad health effects. Cool, right? Now with that in mind, I try not to eat fake meat often. They are great for the transitional process from meat eater to non-meat eater but I like to reserve them for special occasions. They are a processed food and overall, I try not to eat too many of those. 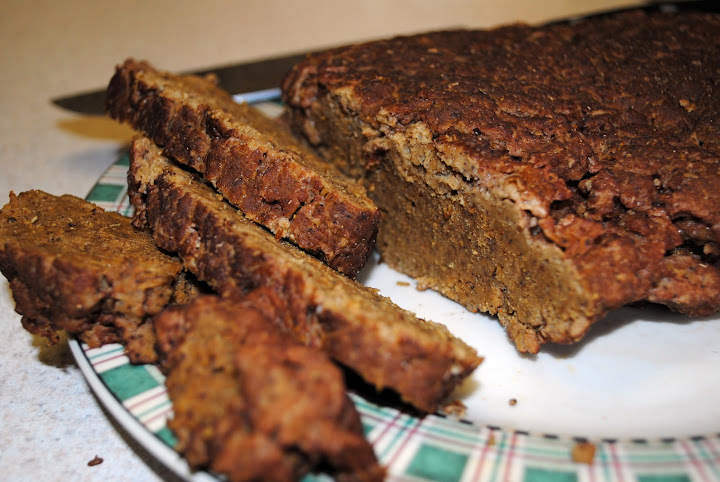 It’s just harder to monitor what you are eating (unless you make it from scratch, of course). There tends to be more chemicals and such so I keep them to a minimum. After all, Epcot wouldn’t be fun if you visited fake Germany everyday, would it? No. So, you save Epcot for vacations. And so I save fake meats for special occasions too, occasions where nothing else seems to work. Like, St. Patrick’s Day! In a large bowl, combine all dry ingredients. In a separate bowl, whisk together wet ingredients. Pour the wet ingredients into the dry, and stir to combine. 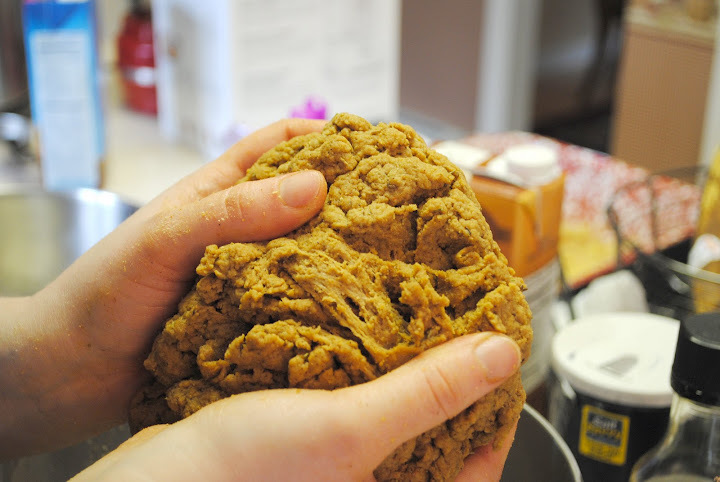 Knead with your hands for a couple minutes, until everything is well combined & strands of gluten start to form. Fill a large pot with about 12 cups of water, and add 2 bay leaves & 1 Tbsp. of whole juniper berries. Bring to a boil, then lower heat to keep the water simmering. 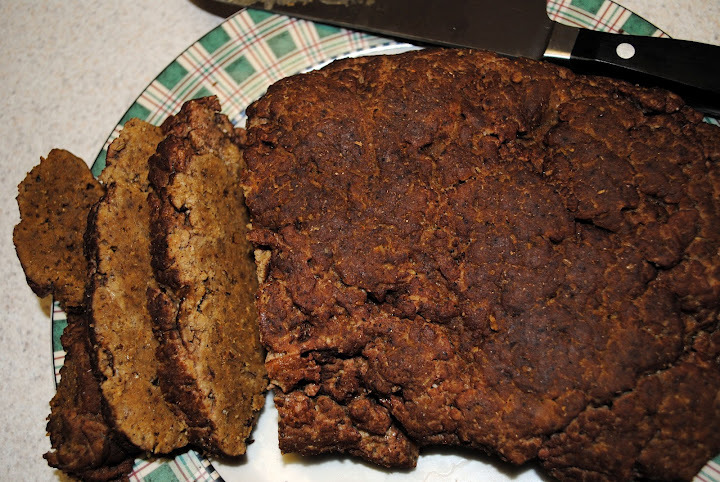 On a clean surface, shape the seitan into an oval (about 8” by 5” with a 1” thickness). Don’t stress over the size. If it’s roughly the size & shape of a roast, you’re good. Wrap the seitan in a double-layer of cheesecloth, and roll the ends like a Tootsie Roll (not too tight, though; the roast will expand a bit while cooking). Secure with string (or just tie the ends in a tight knot if you have enough fabric, which is what I did). Place the corned seitan roast in the simmering water. Cover and simmer on medium-low heat for 1 hour, turning the roast a couple times during the cooking process to ensure even cooking. When done, remove the seitan from the pot (I use tongs to do this), and allow to rest/cool on a plate or cutting board for about 10 minutes. When cool enough to handle, unwrap the cheesecloth. 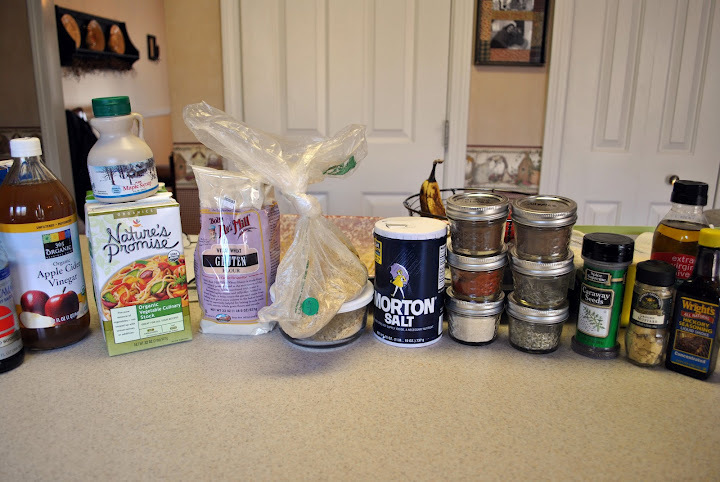 * I could not find ground fennel seed, caraway seed or rosemary so I ground them myself using a combination of a mini food processor and running a super sharp knife through them. Neither of these methods were particularly efficient. I would recommend a mortar and pestle if you have one or even a salt and pepper grinder. 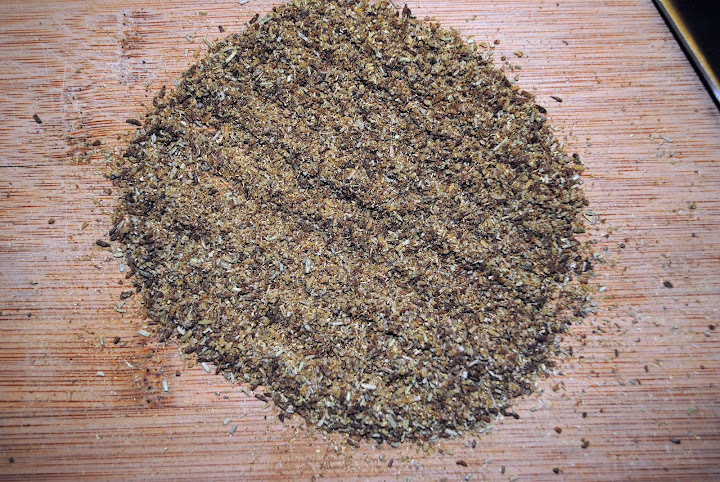 Because the spices are now freshly ground and therefore release a stronger flavor, I would recommend cutting them down a bit to 1/2 TBS or preparing them the night before to give them a chance to mellow out. I didn’t do this and my roast was very strongly spiced. ** I could not find juniper berries anywhere and no one had even heard of them when I asked about them. If they are popular in regular corn beef, it’s possible that they will pop up this week in grocery stores but I subbed in rosemary where ever the recipe called for juniper berry. I used 1 tsp of rosemary for every 2 berries, as recommended by Ehow. This corned beef was SO easy to whip together. Though the ingredients list is long, it goes together pretty quickly. The most tedious process was grinding my own spices and if you have them already ground, whether the came like that or you did them the night before, this will speed up the preparation process. Tune in tomorrow, where I’ll plate this up for you with some yummy, traditional-inspired St. Patty’s day vegetables. Yum! I make this corned beef at least once a month, cube it up for corned beef and cabbage, and my favorite grilled Ruben, better than most store bought fake meats! And cheaper by far. This is a great idea! I’ve strayed away from the packaged fake meats because they’re expensive and because they aren’t as popular in Australia, especially vegan ones. I’ll have to whip up another batch of this for the freezer. Thanks, Richard!